The latest net neutrality ruling was well-reviewed by Phil Edholm (The Impact of Net Neutrality Ruling on WebRTC). Reading his post got me back to my presentation, “Quality over WebRTC” about a month back at the WebRTC Conference in Paris. My presentation reviewed the difference in the importance of QoE (Quality of Experience) between free consumer OTT-based type of communication vs. B2B (business to business) and B2C (business to consumer) communication. WebRTC brings along with it a QoE challenge when being deployed in the latter type of services and this is due to one major reason – WebRTC runs over the open Internet. Looking at existing, pre-WebRTC VoIP communication, there can be a few types of scenarios and as a result of that, levels of QoE and QoS (Quality of Service). In this category are service providers, such as cable operators and VoIP service providers, that provide telephony services to the home. From an end-user perspective, this service looks pretty much like the telephony services over TDM with some additional cool features. Traffic generated by users is routed to the providers’ VoIP backbone where QoS is managed, thus users do not feel degradation of fluctuation in quality. Having said that, since end users consume this service from an analog phone via a residential GW end-to-end HD voice is not provided, quality is not improved compared to TDM. Communication between branches of the same enterprise is managed over dedicated lines or systems that manage QoS. VoIP traffic, being delay-sensitive, receive higher priority over other types of data. Moreover, since communication is VoIP end-to-end, HD voice is being deployed today to larger extent yielding an improved call quality compared to the old TDM communication. Communication between enterprises is in many cases done VoIP end-to-end through the federation and VoIP backbone of service provides. Since users are calling using an analog or mobile phone going over the operators’ TDM network or over a VoIP network of such a service provider, traffic needs to arrive to the enterprise from the service provider. This is done over digital lines of SIP trunks. In both cases, quality is managed. This type of communication is typically free or low cost running over the open Internet. Users understand that they get what they pay for and since payment is typically zero, users are forgiving for quality glitches once in a while; worst comes to worst, they move to another OTT service provider. WebRTC from a service delivery perspective best matches the latter (OTT), yet, it is expected to be used, among others, for business services. This gets me back to that presentation I gave talking about the opportunity service providers have to route the WebRTC traffic to their VoIP backbone and by that, provide a billable managed QoS. Now, with the U.S. Appeal Court taking a hit at net neutrality, this opportunity for service providers is magnified. Amir Zmora is an independent consultant and VP Alliances & Partnerships for AudioCodes. Amir has been working for over 15 years in the telecommunications market with strong focus on VoIP and today also WebRTC. In his current role at AudioCodes Amir is heading technology and business alliances as well as new technology initiatives and new media. Amir is presenting regularly on industry conferences and tradeshows and publishes on industry blogs such as NoJitter, BlogGeek.me and UCStrategies. 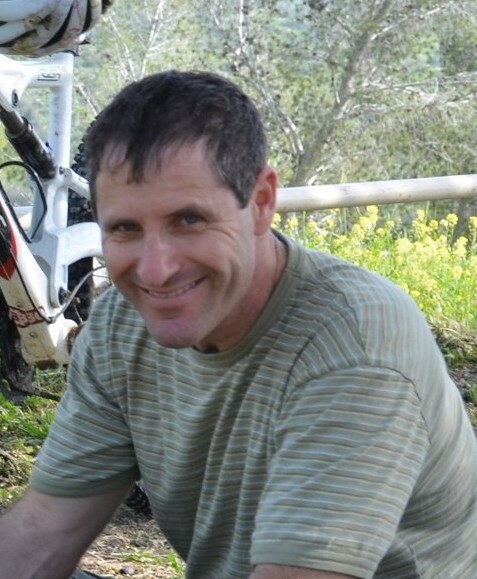 He enjoys mountain biking as well as hiking and other outdoor activities he does together with his wife and two children.